Need to send a fax now? Start faxing in minutes using the award-winning app from eFax® - the world leader in Internet Faxing with 11 million+ users worldwide! 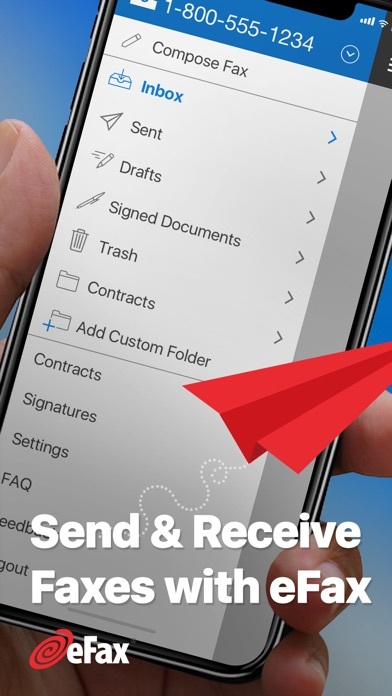 The eFax app is the easiest and fastest way to sign, edit, and send faxes wherever you are. No set-up fees or long-term commitment - it’s faxing made simple. 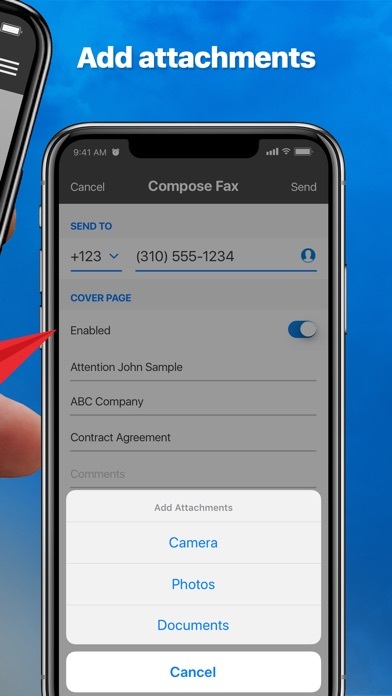 Receive, send, edit, and sign faxes from your phone with the eFax app: • Send and receive faxes on the go • Sign faxes with your finger, digitally • Include custom cover pages • Take photos of fax documents with your camera • Read faxes easily with enhanced viewing options • Highlight and edit faxes • Upload files from Google Drive, Box, or Dropbox • Create folders to tag and store faxes conveniently on your device or in the cloud • Forward documents by fax or email from your phone • Print faxes using Air Print • Manage personal or business contact lists • Choose a local or toll free fax number • Send faxes to 200+ countries worldwide The eFax app is compatible with any eFax Free or eFax Plus® subscription. 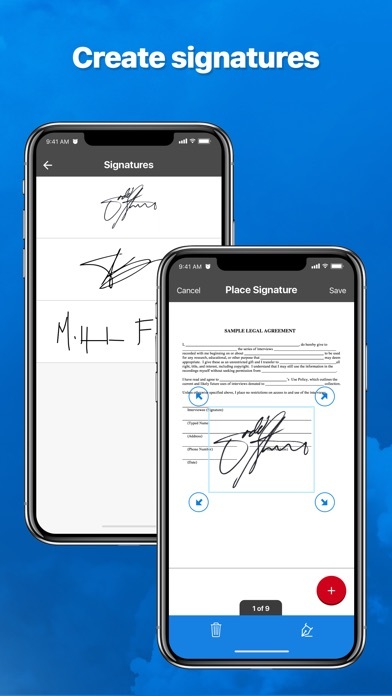 New users can download the app and sign up for an eFax account in the app via iTunes (currently available in the US and Japan) or through the eFax® website. With an eFax account, you can fax from the app, from your email, and from your desktop on the eFax website! 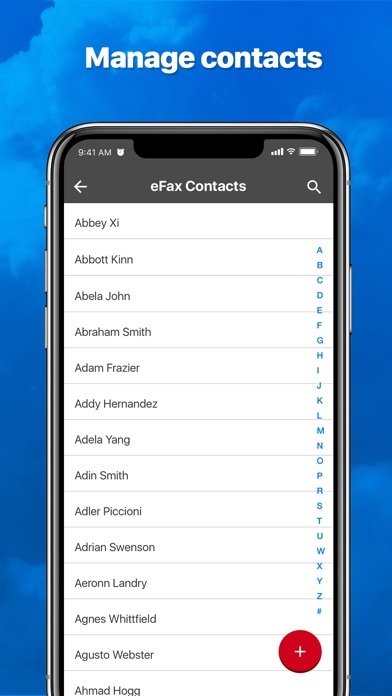 eFax Plus subscription details ($16.99/mo): Includes 300 inbound/outbound fax pages per month, and your choice of a local or toll-free fax number. Subscription fee will be charged through your iTunes account when you confirm your in-app purchase. You may manage your subscription and turn off auto renewal in your iTunes account. Monthly subscription will renew automatically unless your subscription is canceled through your iTunes account and auto-renew is turned off 24-hours before the end of the current period. Renewed accounts will be charged $16.99 for renewal within 24-hours prior to end of current period. No cancellation of current month allowed during active subscription period. For more terms and conditions see https://www.efax.com/legal#agreement. For more details visit the eFax website. 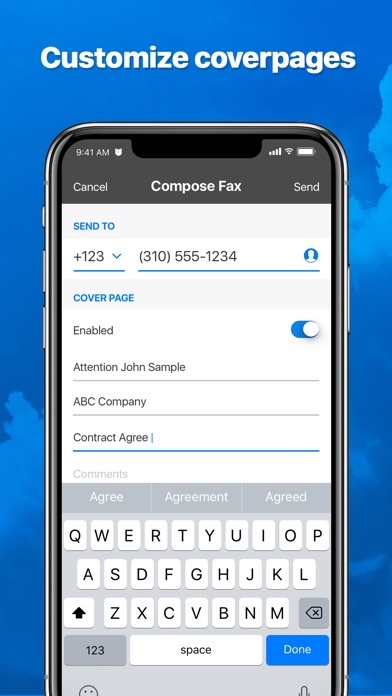 Download the free fax app for iOS to start sending faxes today! Junk service and rude representatives. In January the app didn’t work asked the rep to cancel it over the phone. Turns out the rep didn’t cancel it and they kept charging me through now which is April ! He unlinked it from my phone subscription so it want even visible in iTunes! They stated because I don’t have the reps confirmation number I am out of luck. Wasn’t able to send or receive a single fax with their system. Idiot didn’t even include a confirmation Number after I canceled it today and asked for one specifically. Out of the 10 free faxes you get, one was successful. Works ok. It would be better without all these stupid spam faxes i am constantly getting filling up my inbox. I don’t want to fix my roof or refinance anything, ever. Definitely my favorite fax app. I highly recommend it. What’s wrong with this app? It’s said that it has a free activation period and the moment I activated that it charged me the whole amount. Why it’s so misleading? I just wanna cancel the subscription and if possible, refund of the amount. More by j2 Global, Inc.